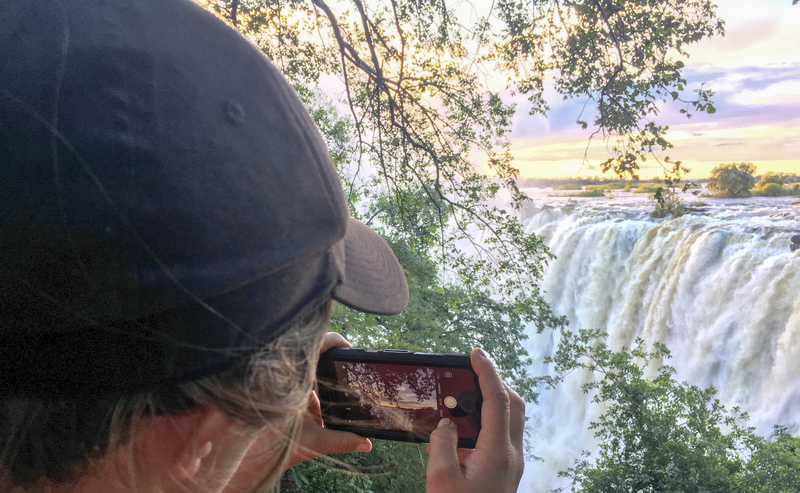 If you are not from the SADC region and require a Visa when visiting Zambia, and the Victoria Falls, there are a few options you should be aware of depending on your itinerary. Those passport holders who qualify to purchase a visa at the port of entry have the option of a “Single entry Visa” for USD 50, a “KAZA Visa” for USD 50 or a “multiple entry Visa for USD 80. Generally speaking, the best option is the “KAZA Visa”. 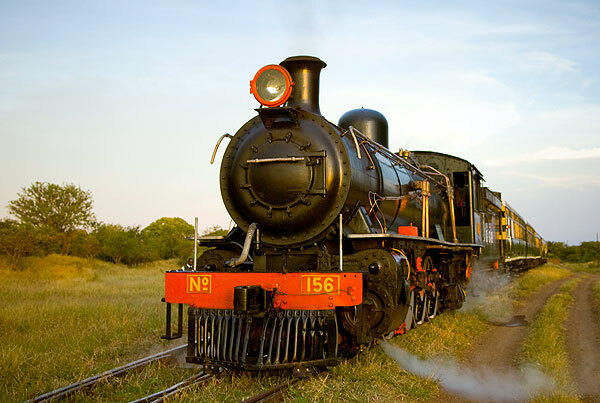 This allows multiple-entry travel between Zimbabwe and Zambia and a day trip to Botswana and is valid for a month. It is important you specifically ask for the “KAZA Visa” at the port of entry. Additionally, be sure to check the number of days you have been given in your passport and that of any dependents. Overstaying is a serious problem and can be easily avoided by checking the number of days before leaving the desk. Some of the entry ports can take payment by card, but this can be hit and miss. Aim to have the right cash amount on hand for your party; in the correct denominations. 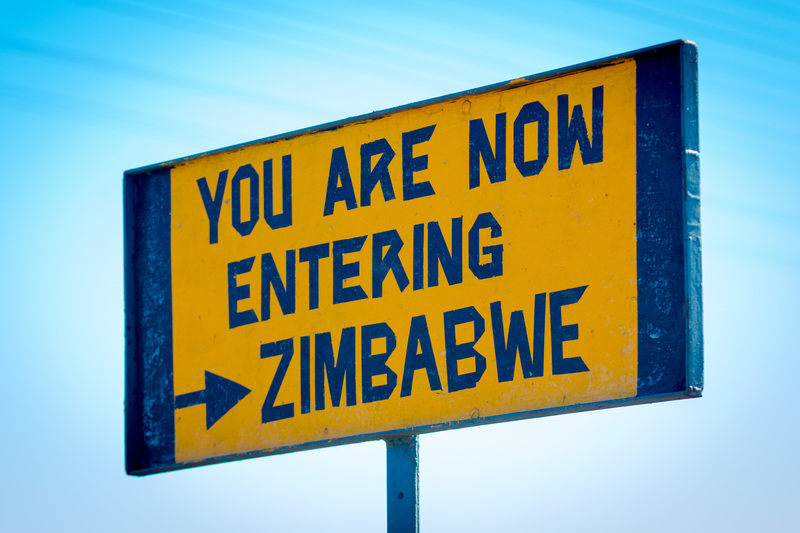 Check if you are eligible for a KAZA Visa on arrival here. 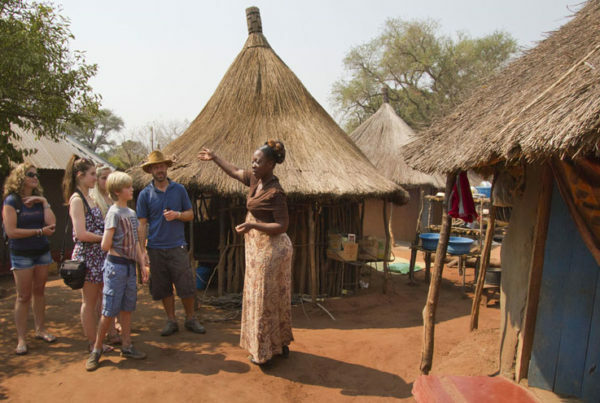 Some nationalities will be required to apply for a visa in advance of travel to Zambia – if you are one of those passport holders who want to do more than a day-trip to Zimbabwe or Botswana. 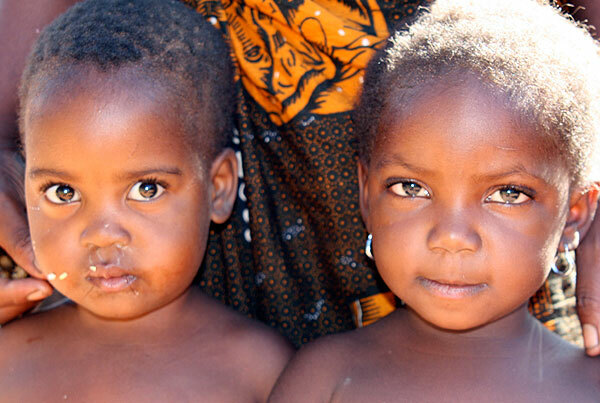 Tt would be best to apply for a multiple-entry Zambian Visa at USD 80 pp. (Please check in advance whether you need to pre-apply for a visa to your day-trip country too!) 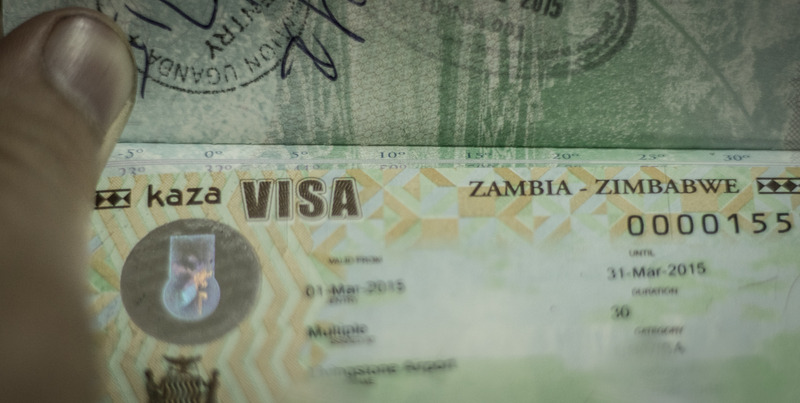 Check if you require a visa in advance of travel to Zambia here. Addendum: Please be advised that if you are NOT from one of these countries you will need to apply for a Visa for Botswana regardless of having the KAZA visa. The “Flight of Angels” offers the best seat in the house. Some activities that the region is famous for, have limited space and you could be disappointed during peak season. Be sure to book “The Elephant Café”, the microlight “Flight of the Angels” and “Devil’s Pool” in advance. 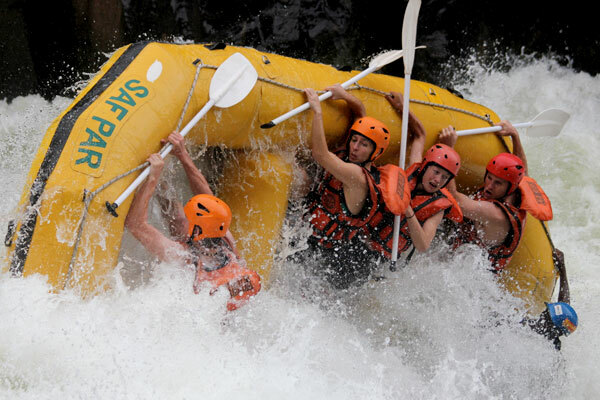 Other iconic activities such as the “Whitewater rafting” and the “River cruises” can usually be booked while in the region. However, early booking confirmation allows you to make the most of your time without having to shuffle things around. 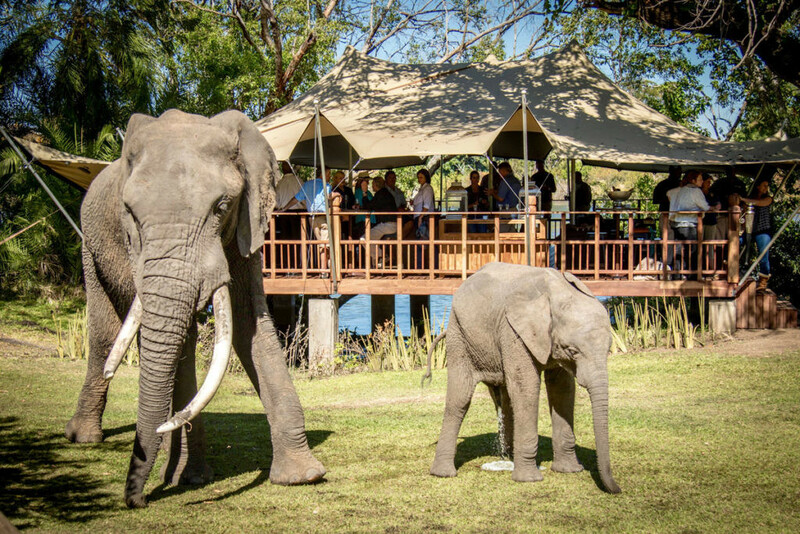 The Elephant cafe’ is Livingstone’s premier dining experience, prior booking is essential. 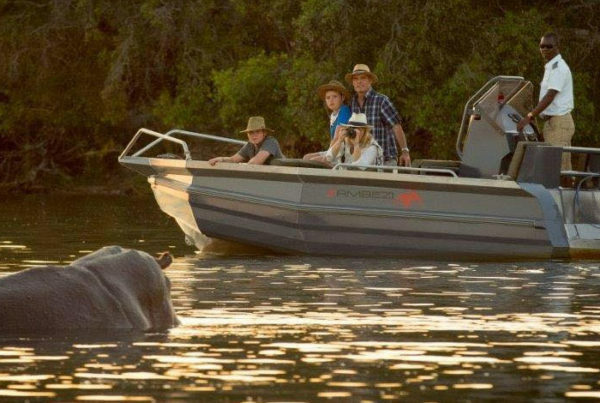 Prior planning for your visit to “Mosi-Oa-Tunya” (the “Smoke that Thunders”) as “Victoria Falls” is locally known is important. 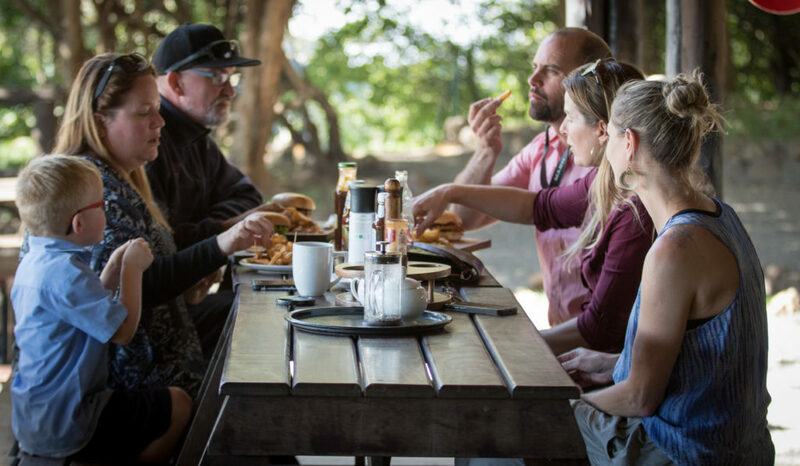 Travelers often get carried away with everything the region has to offer. Often ending up rushing the falls in a morning before they fly out. 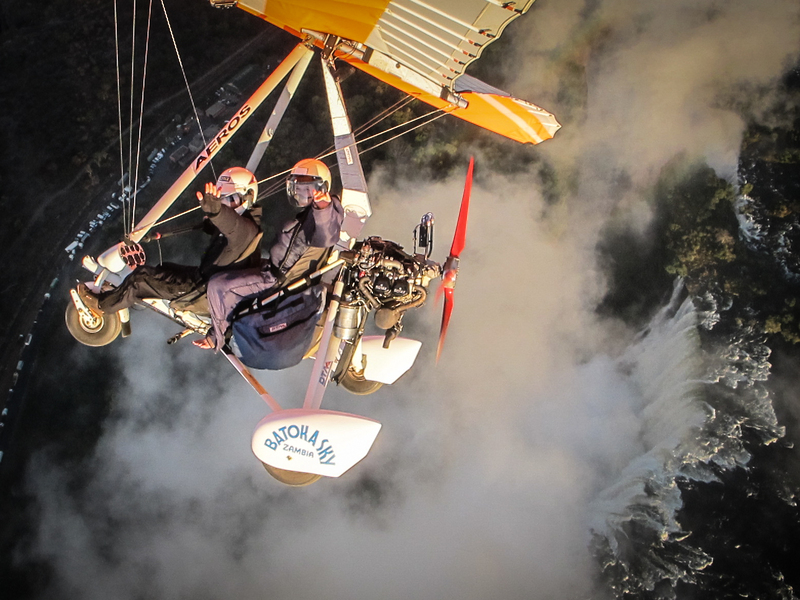 A good way to do the “Victoria Falls” is to plan your visit around the “Devil’s pool” or the “Micro-light flight”. Both of these activities can take place early in the morning or late in the afternoon and augment a “Day of Thunder”. You can see the waterfall from these incredible vantage points and then enter the park on foot. Victoria Falls Waterfall, Mosi-ao-tunya (the smoke that thunders) from the eastern viewpoint. Also be aware that around the full moon during high water, the park is open for guests to view the “moonbows”, nighttime rainbows. The cost to enter the park for this is an additional USD 30, take a small picnic and a bottle of wine; be courteous with your flashlight, you don’t need to put it on, the moon provides plenty of light. 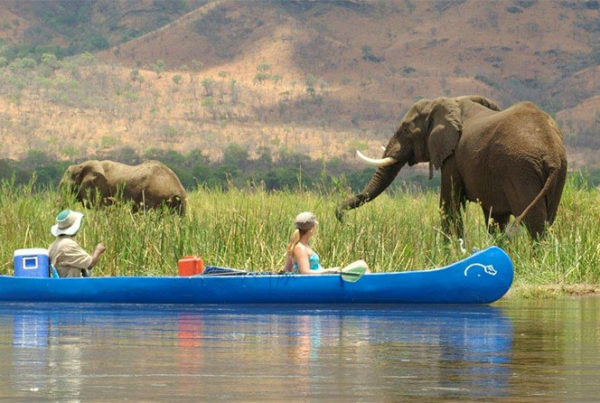 Start off with visiting the Victoria Falls from the Zambian side, entry for international visitors is USD 20 per person. Depending on the time of year, allow an hour and thirty minutes for the walk around the viewing points. If you are physically fit it is worthwhile to hike into the “boiling pot”. This is where you can view the historic Victoria Falls Bridge and the Batoka Gorge just below the face of the falls. Ask for directions from the National Heritage staff on-site. This is particularly worthwhile during the high water season from February-June. Allow an extra forty-five minutes for this and make sure you take drinking water with you. The boiling pot. Well worth the hike. 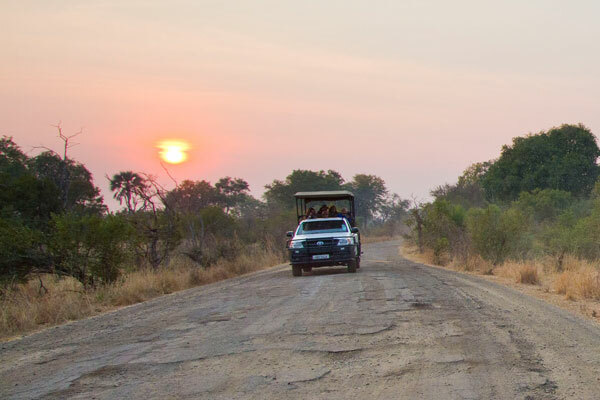 From the Zambian Falls gate, the Zambian Exit border is a short walk away. 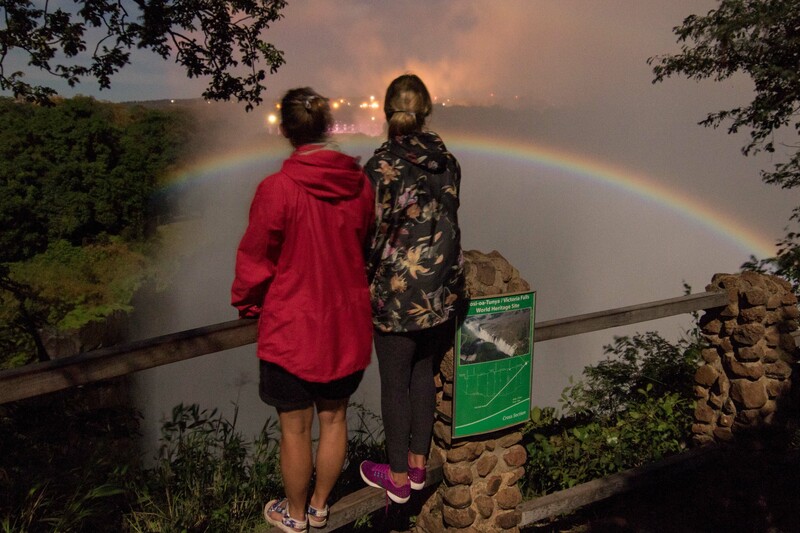 Once you have stamped out of Zambia you can easily walk to the Zimbabwean border, this is worthwhile as you can walk across the Victoria Falls bridge, which offers some great viewing opportunities. 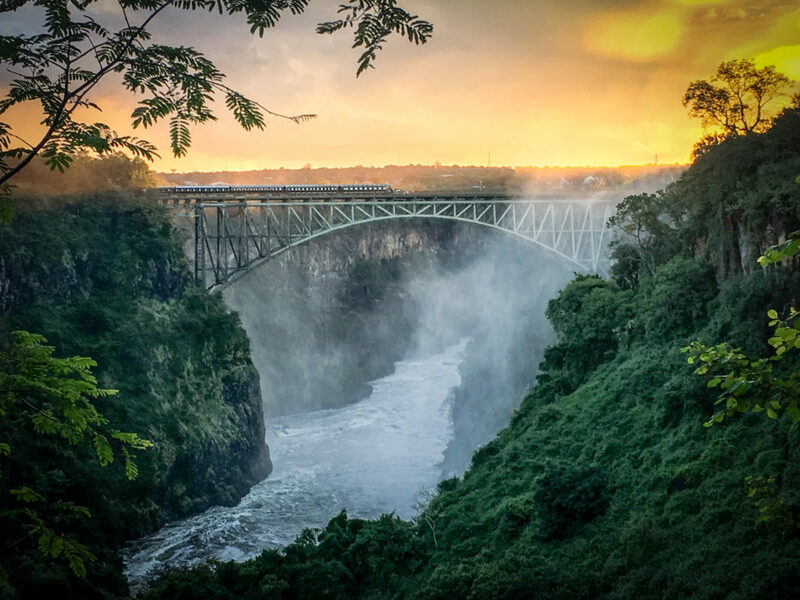 The iconic Victoria Falls bridge forms the border between the two countries. The Bridge Cafe’ is located in “no man’s land” and is a good spot for refreshments. There are taxi’s, usually charging about USD 3 per taxi if you would rather not tackle the 1.3km walk. On the way across the bridge, you can stop at the “Bridge Café” for a beer or refreshment. From here you have a great view of the bridge and the bungee jumpers. Victoria Falls from the Zambian Side. 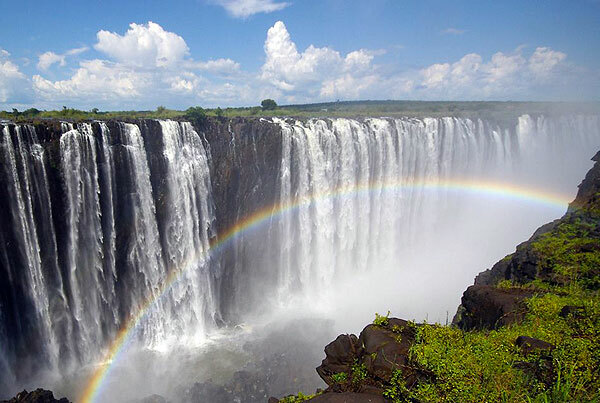 As you stamp into Zimbabwe the entrance to the Victoria Falls is a 100 meters from the border. 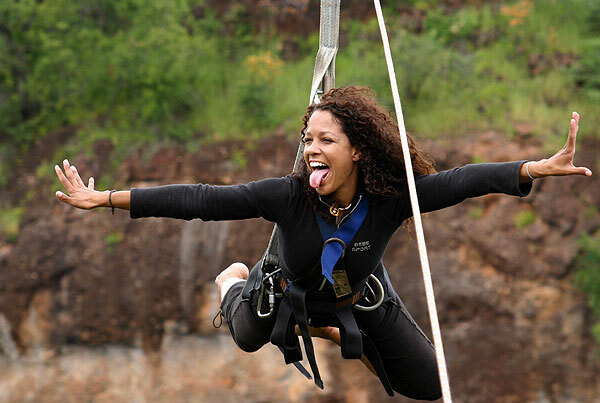 The Entry Fee is USD 30 per person for International Residents and USD 20 for SADC Residents. Allow for 2 hours to view the falls from this side. Once this is done, a “High Tea” at the colonial era “Victoria Falls Hotel” is a great experience. The hotel is about a 10-minute walk from the Victoria Falls entrance. The balcony area looks onto the Victoria Falls in the distance and the hotel itself is worth a look around. Complete the day with a cocktail at “The Royal Livingstone” deck, back in Zambia, this hotel has an unhindered view of the spray from the falls and is a salubrious end to a great day. 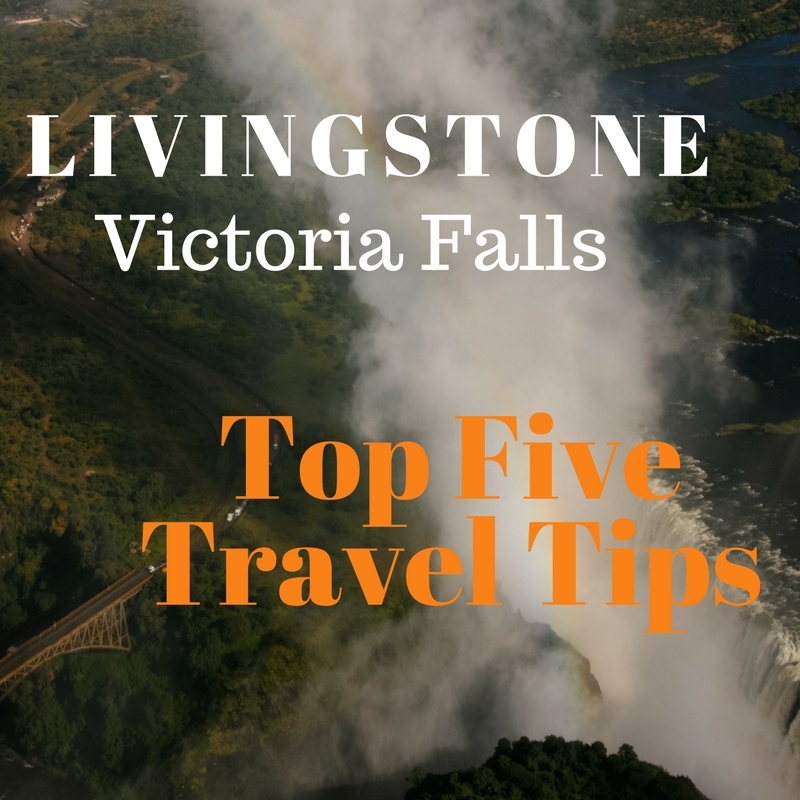 Livingstone can be really cold from May-July in the evenings and early mornings, while the rest of the year it is generally hot. Hats and sunscreen are a must year round. The “rainy” season is from November to Mid-April. Livingstone is not a high malaria area, if you choose to use them, be cautious with your choice of prophylactic and discuss the side effects with your Doctor. Doxycycline, in particular, seems to have issues with sun sensitivity in a lot of people and you will be in the sun frequently. A small “dry bag” is a good idea to keep your travel documents and camera dry when visiting the falls, they are inexpensive and allow peace of mind. When viewing the Falls in high-water season, you will get soaked. A small day pack of essentials, such as a head torch, sunscreen, insect repellent, pocket knife and common medications is a good idea to have on you too. Most lodges and hotels have water filters and you can buy bottled water at most places. However, we recommend “Life straw” bottles rather than buying bottled water. 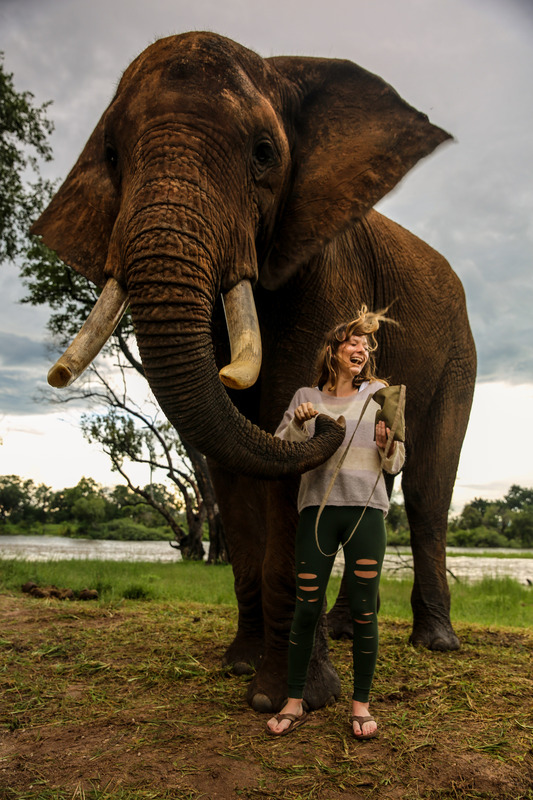 Small incidentals such as camera cards and camera batteries have limited availability in Livingstone and can be way more expensive than other countries. Ideally, these should be brought with you. All electrical appliances in Zambia run on 230V. The primary socket types are British or South African. Although multi-adaptors are generally available at hotels, we recommend bringing your own. Cashwise the Zambian currency is the Kwacha-(ZMK), the currency recently got re-based and three zero’s were lopped off, so sometimes you will see (ZMK)R other symbols are KW (also sometimes with an R indicating re-based). Older Zambians also call the ZMK a “Pin” i.e “10 pin” is 10 kwacha, this is a carryover from when Kwacha notes would be “pinned” together from the days of the unnecessary zeros. ATM’s are available but can be unreliable and have long queues at month end as people withdraw their money. There are ATM’s at the airport once you clear immigration and customs, it is a good idea to draw some local money while there. United States Dollars and South African Rand are widely accepted, and most places can take cards. 5) Be aware of the season in which you are traveling. 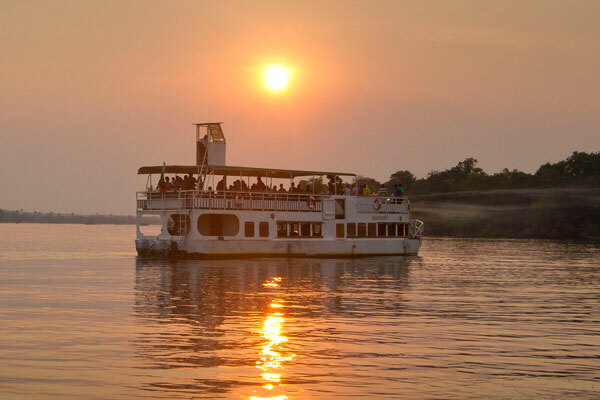 The pulse of the Zambezi River sets the tone of the region. 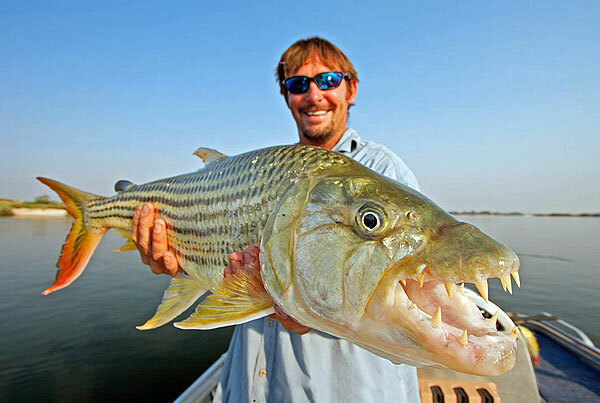 From Late January to June the Zambezi is in high flow. 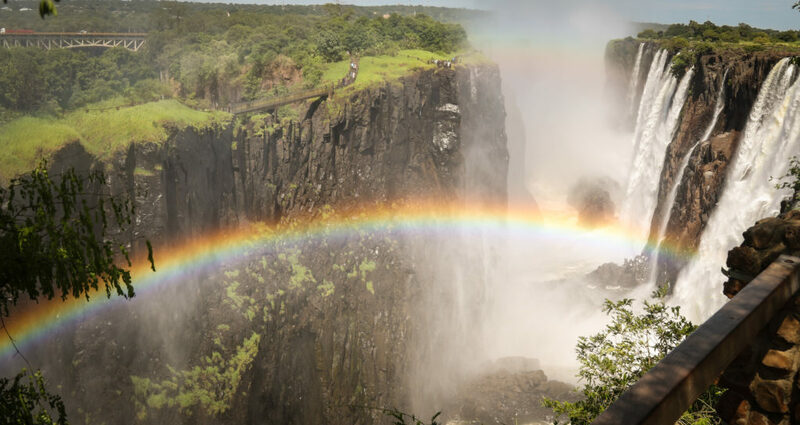 The best time to visit the spectacular Victoria Falls is from February to May. When you will experience the world’s largest sheet of falling water flowing at full tilt. It is also the season of the photographer. The landscape is alive with color and the rains have put down the dust, leaving egg blue skies and spectacular sunset/ sunrises and crisp mornings. However, at this time of year wildlife is relatively scarce compared to other months. 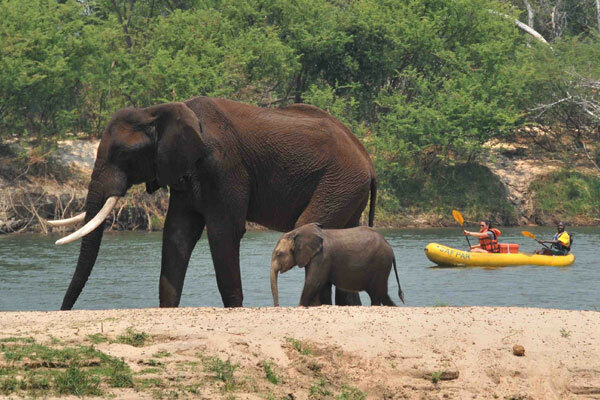 The elephant herds have left the river and moved inland. 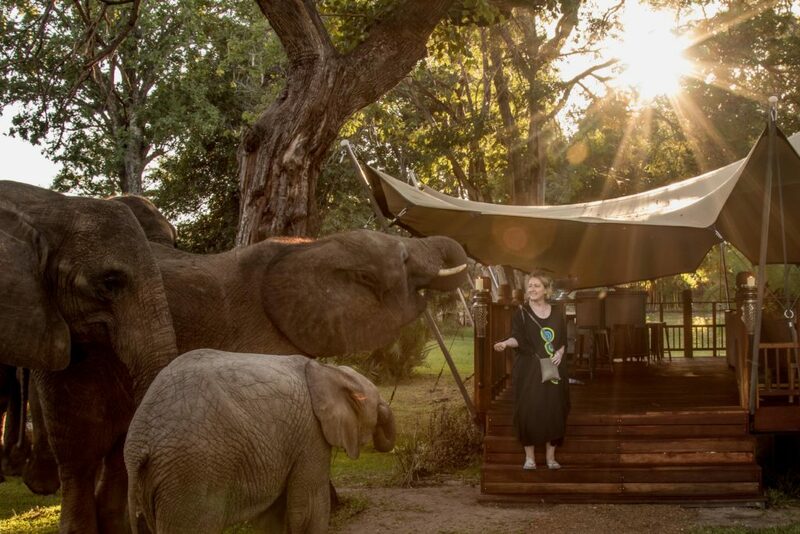 We usually see them returning mid-late June, the bush is also relatively thick and game viewing is difficult. 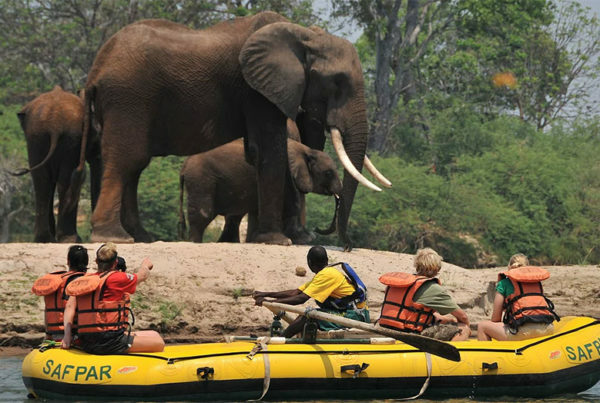 From July to August the game viewing is phenomenal and it is also one of the best times to go rafting, take a look at the “Ultimate Zambezi” trips, which include a trip to Chobe National Park in Botswana. 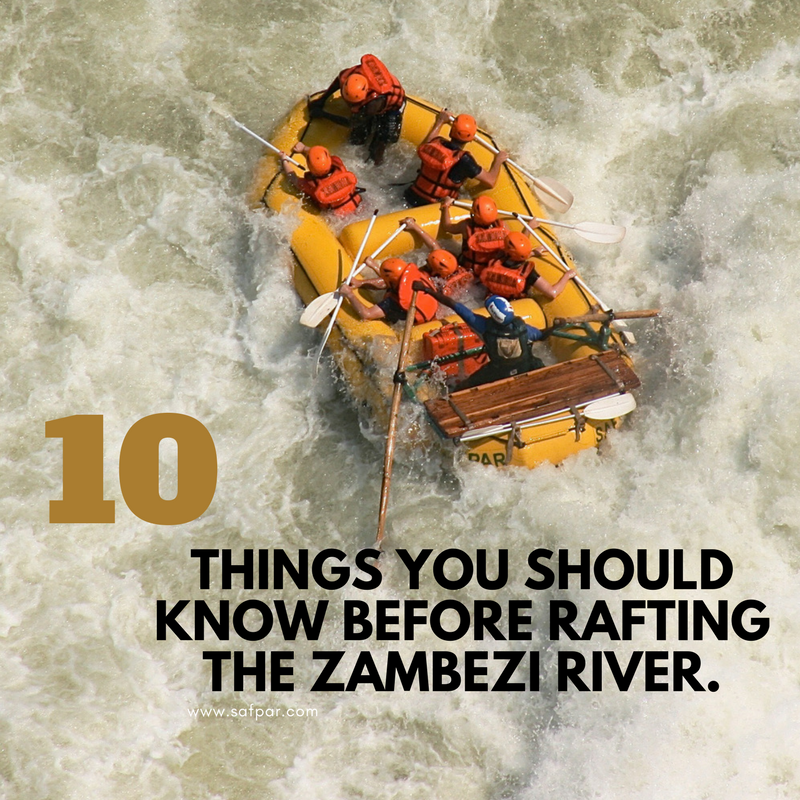 Be advised that the Zambezi River traditionally reaches her lowest flow during the first week of November. 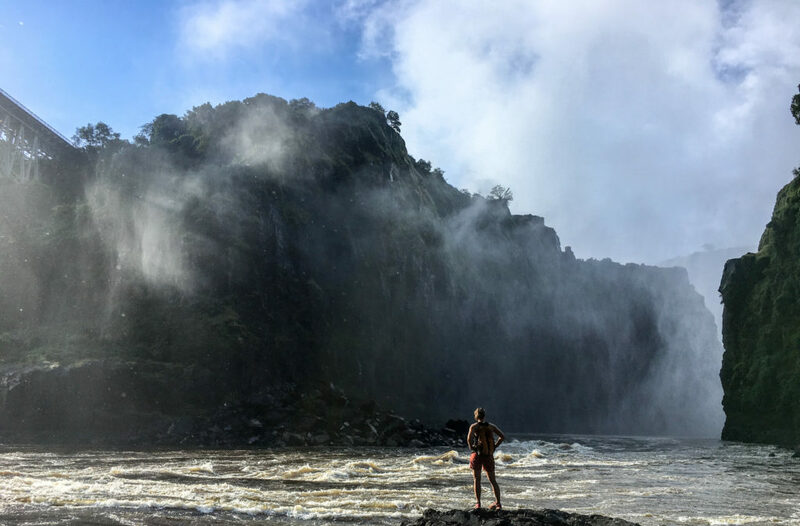 Around this time from October, the Zambian side of Victoria Falls is almost non-existent. 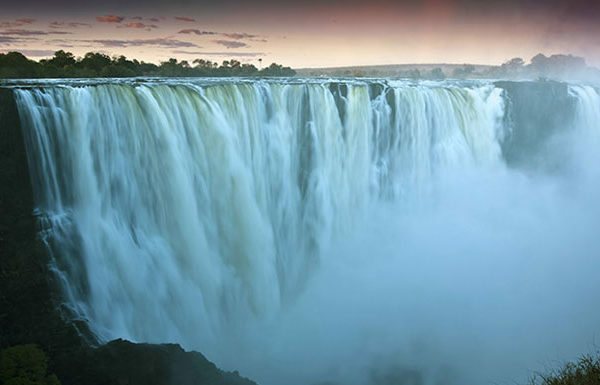 The main body of the water going over the falls is confined to the narrow “Devil’s cataract” which is on the Zimbabwean side. The spray from the falls early March, seen from 6km’s upstream.